Low Cost Kitchen Remodeling Baltimore ! When it comes to remodeling the kitchen in your Baltimore home, there a lot of things you need to consider in fine detail. Not only do you need to pay attention to these details, but you also need to make many decisions about your new kitchen. Many people don’t understand something that seems as simple as picking out cabinets needs time and research. Most stock cabinets are not the quality you want and need for your kitchen. Even though it may seem more costly, investing in a good stock line cabinet or semi custom or even custom cabinetry, that has a warranty and are well made , is the way to proceed. Another thing that you need to pay attention to is the quality of materials such as counter tops, flooring, lighting, and appliances etc so is worth to think about a low cost kitchen remodel Baltimore or a done right kitchen remodel? At Trademark Construction in Baltimore, we are your professional renovation and remodel team. You can always expect quality work with impeccable service every time. When doing a kitchen in Baltimore, be sure to give us a try you will be glad that you did, Our building process is unique and you will love it. At Trademark Construction, you can always know that we will work efficiently and diligently to complete your kitchen remodeling in a timely manner. We also work around your schedule and not the other way around, we want to make sure we make the remodel process as simple as possible. Another huge benefit with working with us in Baltimore is our work is guaranteed and we are fully licensed contractors so you know your renovation job will be done right. When you hire a contractor off of a low price, you may not get the same workmanship as you would with us in Baltimore. These contractors offer you such low price to get a contract signed and than after work begging they will start complaining about different stuff and that will require changed orders , So you need to make sure that you will have a design and selections of your products ready before you signed a contract. You don’t want to prolong your kitchen remodel by trying to save money, but then end up paying more by bringing in other contractors halfway through the job. We know you have heard horror stories from friends and family members about poor contracting jobs, don’t become another victim. 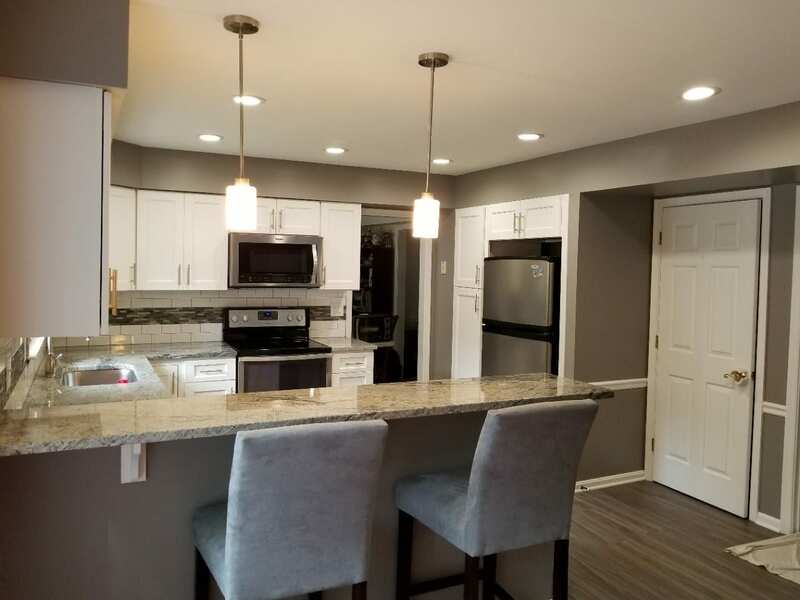 When you hire someone to remodel your kitchen in Baltimore, you want to make sure they produce quality work and product.. We make sure that everything ties together and that there are no unfinished areas within your kitchen. We can do anything from carpentry, painting, and even setting up your appliances. When you base your remodel off price alone, you may not get exceptional quality. Contractors that offer such low prices for kitchen remodels may not be licensed and insured may not have any sort of warranty, and they may not be well versed in all aspects of your kitchen renovation experience. More times than not, you need to hire another contractor to fix the mistakes from the first one, that is if you can find one on short notice. A warranty to back up their work. If you have been considering any type of remodel in your kitchen, call our local Baltimore team. Get the expert service, workmanship, and quality you deserve!